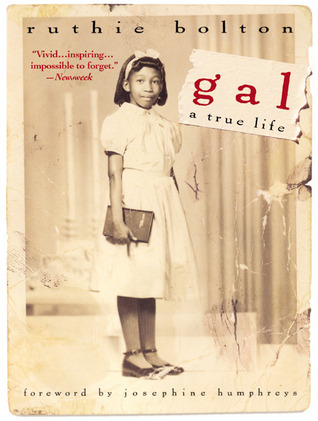 Born in 1961 to a thirteen-year-old mother in South Carolina, Ruthie Bolton endured abandonment, abuse, and loss-and grew into a hardened, troubled young woman. Then she met a man who offered her something she'd never known, something she thought was a dirty word: love. The only challenge left was to accept it. Ruthie had a rough life. Her story is sad and unimaginable. Memoirs are one of my favorite reading subjects because these people have come forward and told their story even though it may have been one of the hardest things they've ever done. The abuse she suffered at the hands of her Grandfather was awful and she carried those problems with her into adulthood. She then met a wonderful man and because of him and his loving family she made it through to tell her story. You will come away from this book thinking about how people can do the things they do, and why they do them, especially to their own flesh and blood.